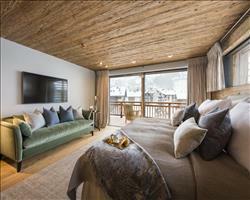 Making every effort to produce a week of happy children, well-rested parents and good old fashioned time together, these luxury chalets have taken all that makes a family holiday spectacular - and raised it to a whole new level. 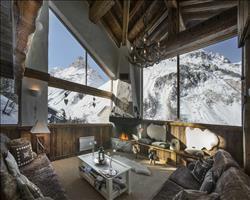 From essentials like childcare, ski schools and toboggans to in-chalet swimming pools, games rooms and private cinemas - if you want to take the brood on the ski holiday of a lifetime, it'll probably be in one of these. 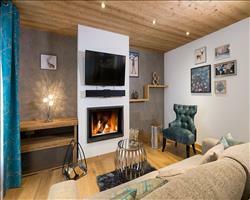 Most properties can provide trappings like high chairs, bed guards and baby monitors on request and lots of chalets have their own toboggans, iPads and DVD's. 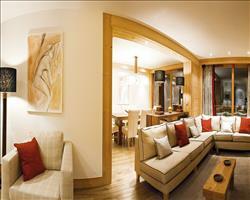 Often baby products like nappies can be pre-ordered for your arrival. 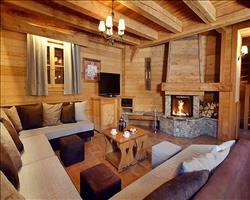 If your sprogs are skiing, staff can usually arrange in-chalet ski fittings and some even provide contact wristbands for peace of mind when munchkins are out on the mountains. 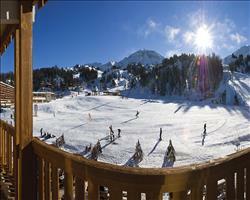 Staff will be able to point you in the direction of the resort's finest ski schools and can often lend a hand with drop offs and collections. 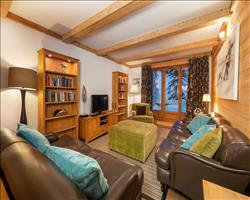 Private nannies can also be arranged through the chalet or a recommended company - arriving with an armful of fun and games, they'll watch over littles in the comfort of your chalet while you're out making the most of the mountain. 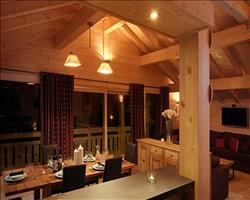 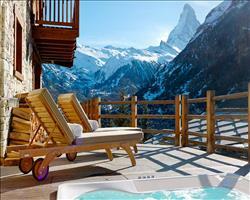 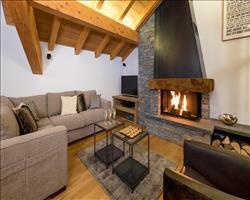 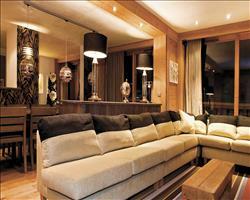 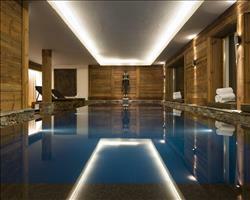 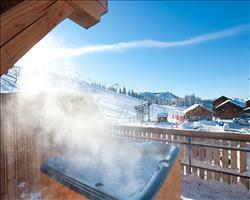 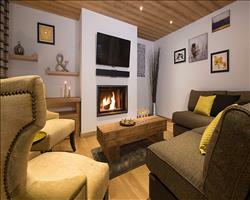 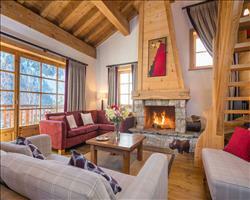 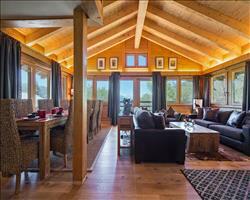 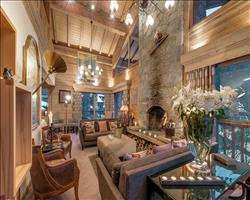 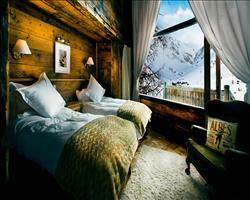 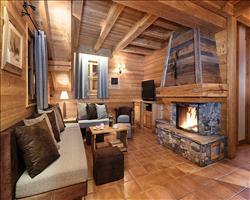 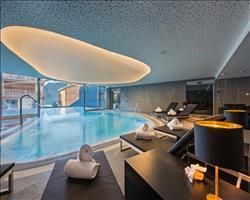 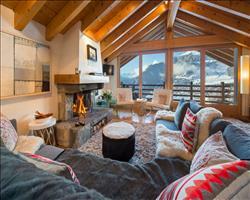 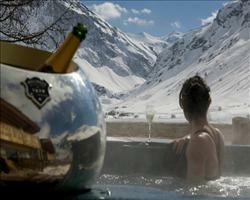 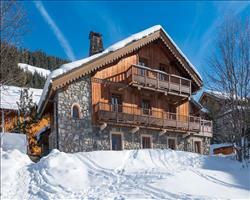 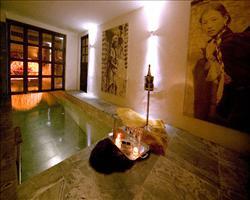 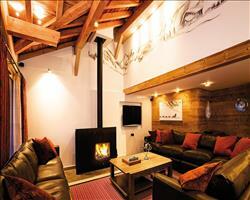 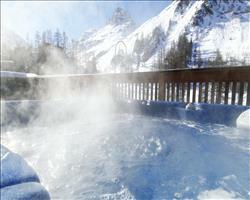 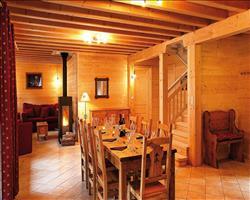 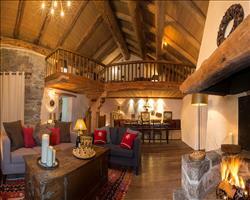 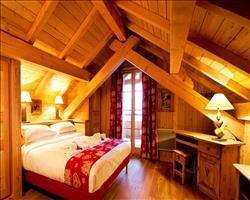 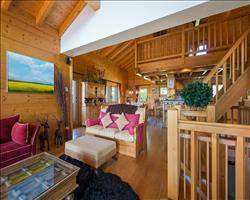 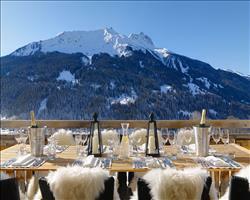 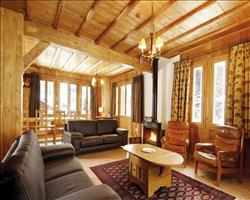 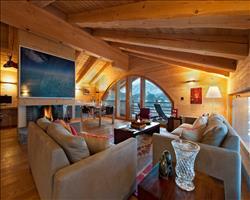 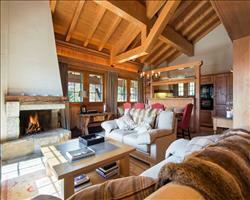 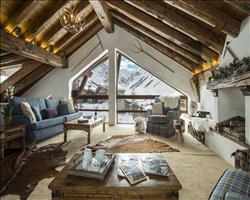 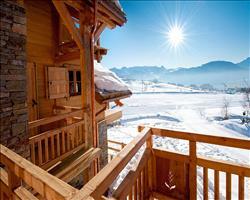 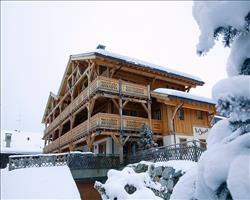 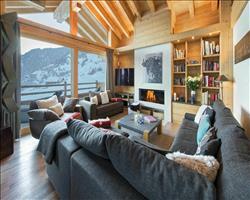 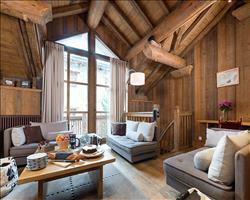 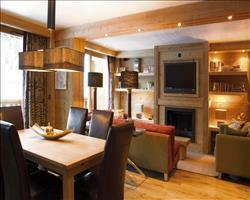 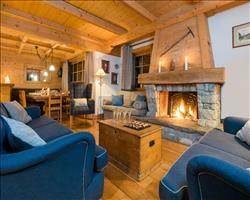 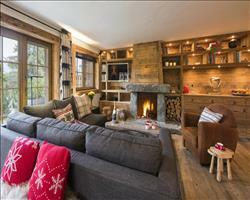 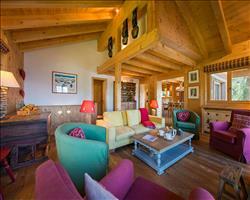 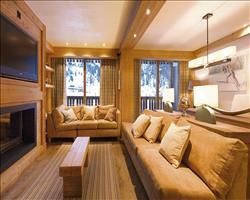 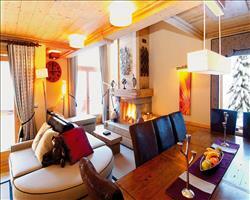 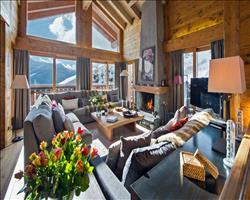 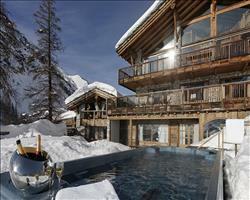 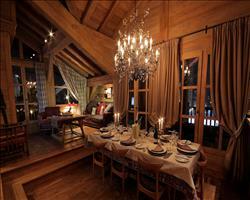 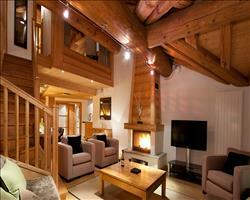 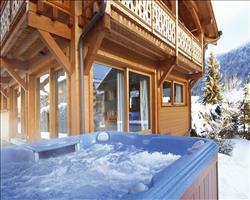 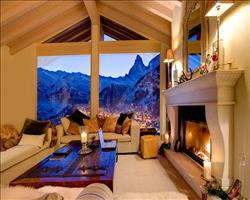 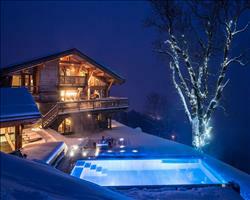 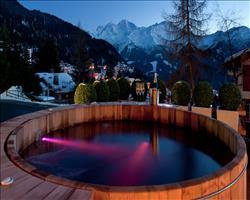 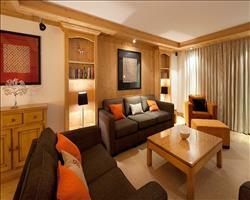 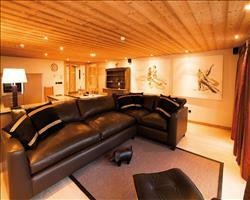 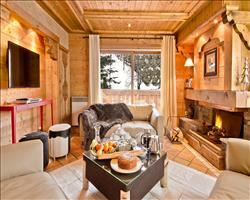 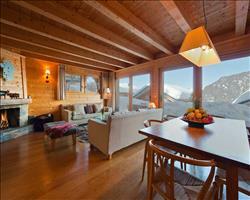 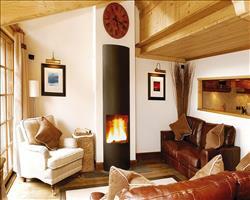 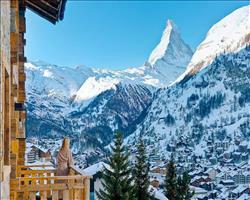 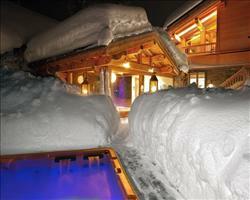 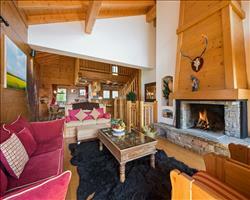 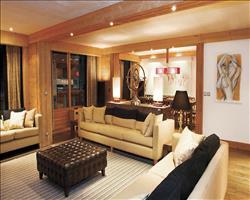 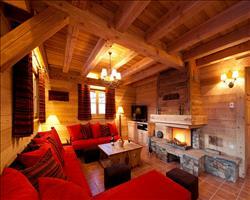 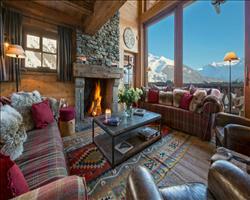 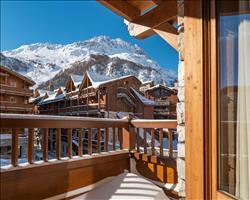 See our ski chalets with childcare here. 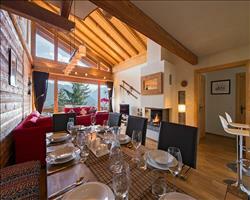 Chalet chefs will dish up exciting, healthy menus according to your whims, and will happily whip up mini meals and daily baby purees. 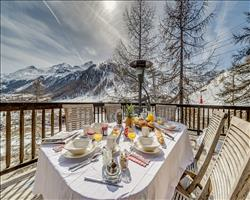 Mealtimes can usually be flexible, depending on what works best for you - whether it's early sittings for children to everyone dining together. 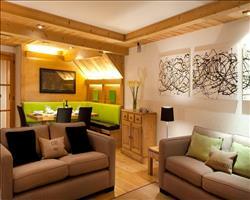 While most menu's feature the finest haute cuisine, a good sandwich in front of the TV shouldn't be a problem either. 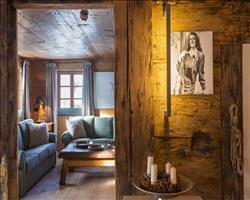 Ski in, ski out chalets are an asset when there are little legs in tow, especially when (as in Elephant Blanc) the nearest run's an easy going blue. 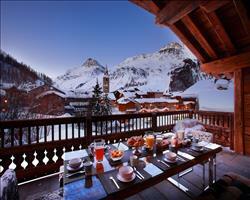 There's no traipsing about with equipment and you can nip back for a snack or hot drink at any time. 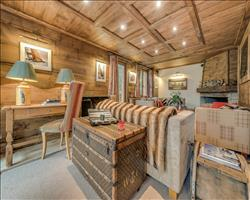 Not to worry if your chalet's a bit further from the piste: most places come with shuttle services of private chauffeurs, who'll whisk you to and fro whenever suits you best. 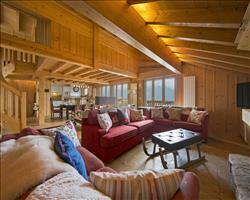 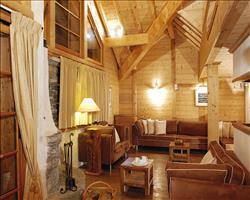 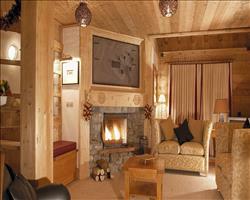 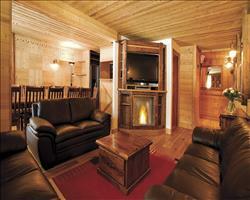 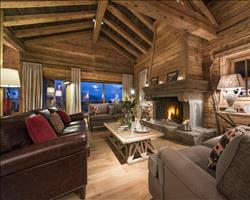 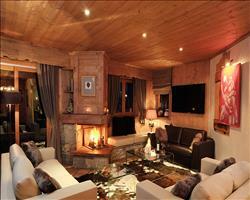 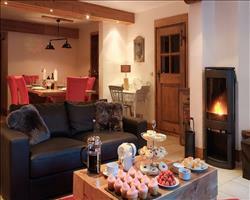 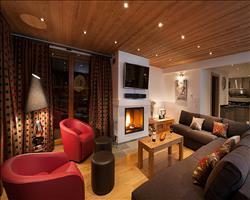 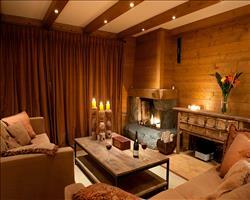 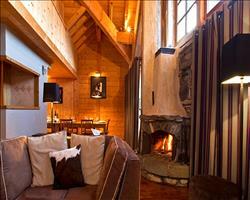 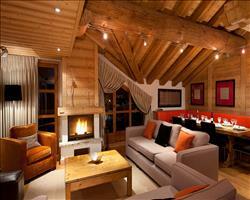 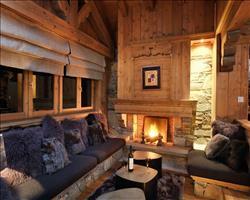 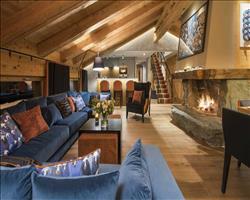 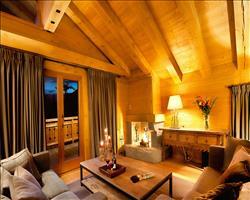 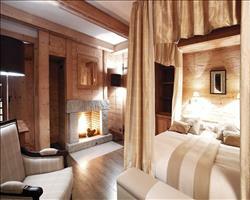 Cosying up for a film night's a delightful way to end the day - all the more special in a chalet with its own cinema. 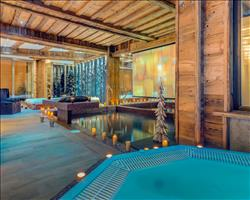 Look out for properties that have upped their game with pool tables and the latest consoles, some even their own swimming pools and hot tubs. 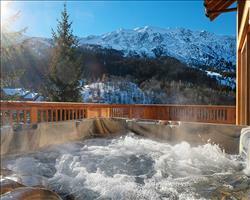 Tadpoles go mad for the pools in Elephant Blanc, Chalet Montana and Mont Blanc and for peace of mind, access doors can be locked to keep them out of harm's way. 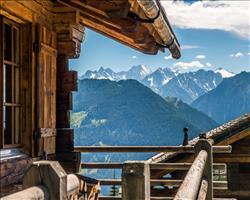 We update this list often but facilities can change, so if any specific feature is essential to your trip, make sure you ask us to confirm the details before you book your holiday.